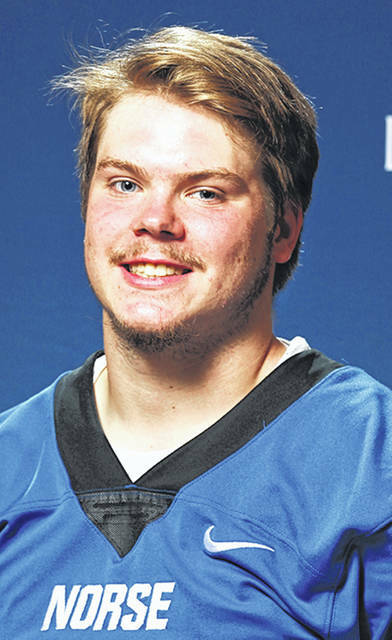 DECORAH, Iowa – Bryce Neuse, a 2018 graduate of Beavercreek High School is a freshman on the Luther College football team. Neuse is listed as a safety. Luther’s head coach is Caleb Padilla, who begins his first year at the helm of the program. The Norse have been picked to finish fifth in the American Rivers Conference. Last year, Luther posted an overall record of 6-4, its first winning season since 2005. Neuse is the son of Micah and Kara Neuse of Beavercreek. RIVERSIDE — Carroll High defeated Stebbins, 49-13, in the opening game of the football season for both teams Thursday night, Aug. 23. The Patriots will play at Beavercreek for their next regular season game on Friday Aug. 31. Stebbins (0-1) heads to Greenville next week. KALAMAZOO, Mich. — The Wright State University women’s soccer team stayed on the road Aug. 26 dropping a non-conference game at Western Michigan 2-0. The Raiders head to Tennessee 7 p.m. Thursday, Aug. 30 before coming home to host Indiana State Sunday, Sept. 2.